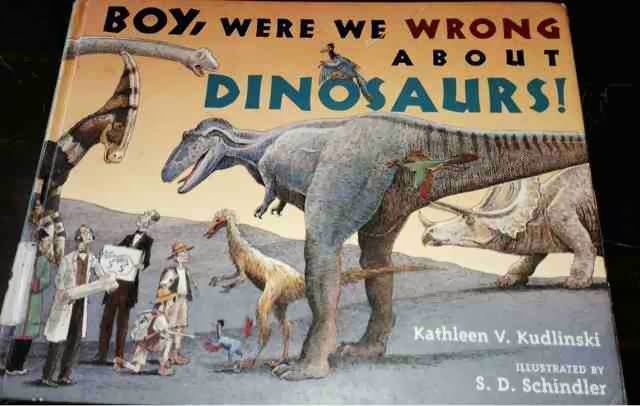 Boy, Were We Wrong About Dinosaurs! 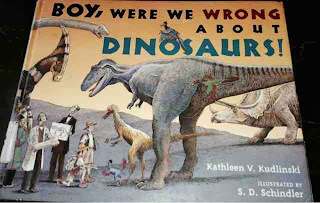 by Kathleen Kudlinski is a must read science book for any child, and I would recommend it for most adults as well. Using the ever popular subject of dinosaurs, Kudlinski explains an aspect of science that is all too often forgotten. Science, by nature, is fallible but self correcting. Many otherwise educated people are ignorant this fact. If you don't believe me, read the comments after a random science post by a major news organization. This ignorance causes all sorts of confusion in conversations about policies and practices that effect all aspects of our society. Kudlinski explains in a way that even a child finds engaging. This book has been requested at every opportunity since it came home from the library! Now, can I restrain myself from just popping it into my Amazon cart?